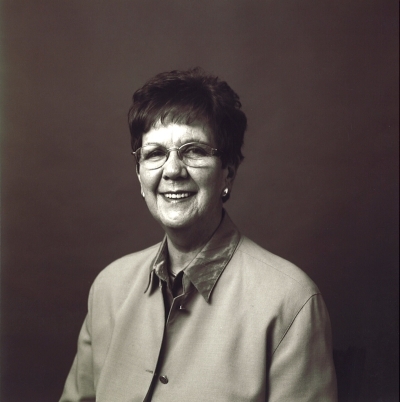 M. Elaine Botha (b 1938, Krugersdorp, South Africa) is professor of philosophy (emerita) at Redeemer University College. She taught philosophy at the Institute for Christian Studies (adjunct), and earlier at Potchefstroom University for Christian Higher Education in South Africa (1969-1995; she became full professor in 1975 and emeritus professor in 1995) and at the Free University. At Redeemer she also served as academic vice president (1995-2000) and as director of the Dooyeweerd Centre (2000-2004). In 2005 she was a visiting research fellow at the Centre for Semiotics, Aarhus, Denamrk. From 2005 she has been a part-time lecturer at Redeemer UC.She has two doctorates one in cultural studies, where she was supervised by C. N. Venter (PU for CHE, 1970) and another in philosophy of the social sciences supervised by Hendrik Van Riessen and Andree Troost (VU, 1971). She holds dual South African and Canadian citizenship. Embodiment and the Grammar of Creation. Full contents listings here . 1990. Metateoretiese perspektiewe op die Sosiale wetenskappe. Potchefstroom: PU vir CHO239p. "Meta theoretical perspectives on the Social Sciences"
1984. Metaforiese Perspektief en fokus in die wetenskap. Departement Wetenskapsleer, PU vir CHO. 106p. "Metaphorical perspective and focus in science"
1982. Christelik-Nasionaal: Ideologiese, gesekulariseerde of outentieke nasionalisme : Wetenskaplike bydraes. Reeks F. nr.10. IRS. Potchefstroom. 55p. "Christian national: Ideological, secularized or authentic nationalism?" 1974. Politieke geweld: aard, vorm en voorkoms van die verskynsel. Sentrum vir internasionale Politiek, nr. 13: 9132.Potchefstroom:PU for CHE. "Political violence: The nature of the phenomenon"
1971. Sosio-Kulturele Metavrae. Buijten en Schipperheijn, Amsterdam. 298p. "Philosophical questions of the Socio-cultural disciplines"
1988. Botha, M E. and Runia, K. (eds.) The Family in Crisis. Research report compiled by Botha, ME, Runia, K. et al for Reformed Ecumenical Synod, Harare, Zimbabwe/ Grand Rapids, Michigan. 153p. 1988. Mouton, J.; Joubert, D.; Botha, M E. et al. 1988. Essays in Social Theorizing. HSRC: Pretoria. Botha, M.E. Metaphorical models and scientific explanation. Chapter 3, p.61 - 96. 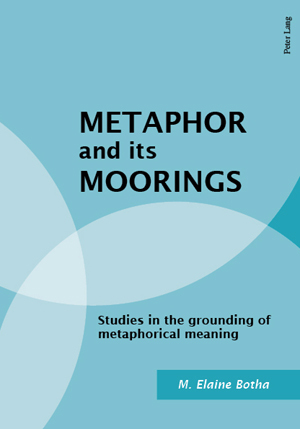 2007 Metaphor and embodiment: new perspectives on cognition and meaning. Christian Higher Education in a Global Context. Nick Latinga (ed.). IAPACHE: Sioux Center. 2003 On being a Christian philosopher and not a feminist. In Philosophy, Feminism and Faith. Groenhout, Ruth and Bower, Mary (eds). Bloomington. Indiana University Press. 2000 Prospects for a Christian Philosophy in a Shrinking World. In Lugo, Luis E. ed. Religion, Pluralism and Public Life. Abraham Kuyper's Legacy for the Twenty-first Century. Eerdmans: Garnd Rapids, pp. 221 - 242. 2000 Metaphor and analogy revisited. In Strauss, D.F.M. and Botting, Michelle ed. Contemporary Reflections on the Philosophy of Herman Dooyeweerd. Lewiston: Mellen Press. 2000 Christian scholarship for reconciliation? The Free University of Amsterdam and Potchefstroom University for Christian Higher Education. In Van Vught, William E. and Cloete, G. Daan. Race and Reconciliation in South Africa. A Multicultural Dialogue in Comparative Perspective. Lanham: Lexington Books. pp.121 - 140. 1999 Spiritualiteit: begrensing as bevryding an essay in Bewogen Realisme,(Uitgeverij Kok - Kampen, 1999. p.123-130) published on the occasion of the farewell of Dr. Bob Goudzwaard from the Free University of Amsterdam. "Spirituality: Limits as liberation"
1997 Humanizing the natural sciences: A methodological imperative for a society in transition. Chapter 12, p.295 - 312. Published in: Mouton, J. and Muller, J ed. Knowledge and Method and the Public Good. Pretoria. Human Sciences Research Council. 1996 Science, myth and metaphor. Human Being. Essays dedicated to Stuart Fowler. Doug Blomberg ed. Association for Christian Scholarship, Melbourne, 39-67. 1996 The role and development of a personal scientific frame of reference. In Garbers Johan G ed. Effective Research and the Human Sciences. Pretoria: University of Pretoria. 1995 Representasie in die wetenskap, literatuur en literatuurwetenskap. In: Viljoen, H. (red.) Metodologie en representasie. RGN-Studies in Metodologie. Pretoria:RGN, pp.99 - 128. "Representation in science, literature and theory of literature". 1995 Die ontwikkeling van 'n persoonlike wetenskaplike verwysings-raamwerk en die versoening van wetenskap en geloof. In: Garbers, Johan (red.). Opleiding en Navorsing tydens Meesters-en doktorsgraadstudies. Pretoria: U.P. "The development of a personal frame of reference for the reconciliation between science and faith"
1990 Voorwaardes vir kultuurbewaring. Tydskrif vir Geesteswetenskappe, 30:3, 169 -180. Ook gepubliseer In: 1991. Instituut vir reformatoriese Studies. Kultuurverskeidenheid in Afrika: Verleentheid of geleentheid? Potchefstroom:PU vir CHO. " Conditions for the preservation of culture". 1988 Ideologies - our modern demons. In: Van der Walt and Swanepoel, Rita (eds.) Ideological Struggle in Southern Africa. Flee from the idols! Orientation. 50/51: 39 - 52. Institute for Reformational Studies, PU for CHE: Potchefstroom. 1988 Objectivity under attack: Rethinking paradigms in social theory - a survey. In Marshall, P.A. & vanderVennen, R. ed. Social Science in Christian Perspective. Lanham: University Press of America. 1987 Neo-Calvinistiese wetenskapsbeskouing (p. 135-154). In: Snyman, JJ en du Plessis, PGW (Reds.) Wetenskapsbeelde in die Geesteswetenskappe. RGN-studies in Navorsingsmetodologie. RGN. 251p. "Neo-Calvinist understanding of scholarship." 1987 Grondslae-ondersoek: Die blootlegging van die onderliggende filosofiese sisteem van wetenskaplike teoriëe (p. 6-20). In: Departement Wetenskapsleer: Paradigmas in die wetenskappe. 'n Christelike perspektief. 'n Feesbundel ter viering van die een-en-twintigste bestaansjaar van die departement Wetenskapsleer. Wetenskaplike bydraes van die PU vir CHO. 143p." Foundational studies: The uncovering of basic philosophical assumptions of theories"
1987 Die stereotiepe vrou (p. 18-32). In: Instituut vir Reformatoriese Studies: Venster op die vrou. Reformatoriese perspektiewe. Wetenskaplike bydraes van die PU vir CHO. 258p. Reformatoriese Studies. Venster op die universiteit. Wetenskaplike bydraes van die PU vir CHO. 195p. 1980 Tweedeklaslidmate? In: Van der Walt, BJ e.a. Venster op die Kerk. IBC-publikasie. Potchefstroom: PU vir CHO. "Women - second class members of the congregation?" 1975 The idea of the university and problems concerning education; indoctrination and the role of the university. Koers, 40(4, 5 en 6). In: Festschrift J.A.L. Taljaard. Social Theory and practice. Crosscuts and perspectives. Klerksdorp. Instaprint. 1975 Nog ruimte vir 'n Christelike lewensbeskouing in die Opvoedkunde en opvoeding van die 21ste eeu? (In: Die skool van die 21ste eeu. COVSA). "Is there still room for a Christian world view in Education and Educational Theory in the twenty first century?" 1974 Ek en jy en die pilkultuur. In: Die wΛreld van '79. Publikasie van Korps Veritas Vincet, PU vir CHO p.158-174. 1974 Kleding en ontkleding. Mode-simptome van 'n rewolusionΛre kultuur. IBS: Reformasie en rewolusie, p.237-254. "Dress and undress - fashion symptoms of a revolutionary culture"
1975 The idea of the university and problems concerning education; indoctrination and the role of the university. Koers 40(4, 5 en 6). In Festschrift J.A.L. Taljaard. Social Theory and practice. Crosscuts and perspectives. Klerksdorp. Instaprint. 2007 Rethinking root metaphors: Re-enchanting a disenchanted world. Philosophy and Cultures. Proceedings of the XXIst World Congress of Philosophy, Istanbul, Turkey 2003. Edited by professor Venant Cauchy Published in 2007. 2005. Metaphors, domains and embodiment. Koers, 70(3), 401- -423. Festschrift Annette Combrinck. 2004 Clusters, roots and hierarchies of metaphors in Scripture and the quest for Christian Scholarship. Koers 69, (3), 2004 28p. 1996. Metaphor and analogy revisited. Yearbook of the Dooyeweerd Centre. Proceedings of a Conference held in June 1996 at Redeemer College, Ancaster 1996. "Of light and limits: Philosophy matters". Inaugural address, professor of Philosophy, Redeemer College, Ancaster. Ont. 1995. Die Geesteswetenskappe in ‘n samelewing in transformasie. Tydskrif vir Geesteswetenskappe 35:(1), 1995 “The Humanities in a society in transition” 1995. The puzzling problem of pluralism. Response to a paper by Sander Griffioen. In: Proceedings of the Dooyeweerd Centenary Conference, held in Hoeven, The Netherlands, August 1994. 1995. Does Reformational philosophy have an answer to the many guises of pluralism? Koers, 60(2), 1995. 1995. Christelike universiteit in 'n apartheid en post-apartheid bedeling. Koers, 60:(1), 1995,pp.121 - 148. 1995. Die Geesteswetenskappe in 'n samelewing in transformasie. Tydskrif vir Geesteswetenskappe, 35:(1), 1995. 1995. Humanizing the Natural Sciences: A Methodological imperative for a society in transition. Proceedings of the HSRC Conference on Knowledge, Method and the Public Good, Pretoria, July 1994. 1995. Representasie in die wetenskap, literatuur en literatuurwetenskap. In: Viljoen, H. (red.) Metodologie en representasie. RGN-Studies in Metodologie. Pretoria:RGN, pp.99 - 128. 1995. Die ontwikkeling van 'n persoonlike wetenskaplike verwysings-raamwerk en die versoening van wetenskap en geloof. In: Garbers, Johan (red.). Opleiding en Navorsing tydens Meesters-en doktorsgraadstudies. Pretoria: U.P. (The development of a personal scholarly frame of reference and the reconciliation of faith and scholarship). 1994. Understanding our age. Philosophy at the turning point of the "turns"? - The endless search for the elusive universal. Tydskrif vir Christelike Wetenskap, jrg. 30, 2de kwartaal, 16 - 31. 1993. The mediating role of metaphor and analogy in the relationship between science and religion. Tydskrif vir Christelike Wetenskap, jrg. 29, 4e kwartaal, 1993, 60 -73. 1991. Voorwaardes vir kultuurbewaring. Tydskrif vir Geesteswetenskappe, 30:3, 169 -180.Also published In: Instituut vir reformatoriese Studies. Kultuurverskeidenheid in Afrika: Verleentheid of geleentheid? Potchefstroom:PU vir CHO. 1991. 1990. Realisme en representasie in wetenskap en kultuur. Literator, 11:2. 1989	Misplaaste kritiek? Koers, 54: 3 en 4. 1989. 1989	Theory development in perspective. The role of conceptual frameworks and models in theory development. Journal of Advanced Theory in Nursing. January, Vol. 14 (1). 1989:49. 1989	Cultural universals - so what? Koers, 54:74 -87.1989. 1989	Theory development in perspective. The role of conceptual frameworks and models in theory development. Journal of Advanced Theories in Nursing. January, Vol. 14 (1). 1989:49. 87.1989. 1988	Framework for a taxonomy of metaphor. Philosophia Reformata, 53:1. 1988. 1988	Mouton, J.; Joubert, D.; Botha, ME. et al. 1988. Essays in Social Theorizing. Human Sciences Research Council,: Pretoria. a) Botha, M.E. Metaphorical models and scientific explanation. Chapter 3, p.61 - 96. 1988. 1987	Interkulturele verhoudinge met spesiale aandag aan die toekoms van Afrikaans. Tydskrif vir Geestewetenskappe, jrg. 27 no. 4, 1987. 1986	"Bewitching" or confusing metaphysics. The demarcation between science and metaphysics according to Karl Popper. Koers, 51(4), pp. 430-440. 1986. 1986	Metaphorical models and scientific realism. Suid-Afrikaanse Tydskrif vir Wysbegeerte, 5:3, Augustus, p.83-87. Also published in: Fine, A. & Machamer, P. Proceedings of the 1986 Biennial meeting of the Philosophy of Science Association, vol.1, East Lansing, Mich: PSA. 1986. 1985	Wat is grondslaestudie? Tydskrif vir Christelike Wetenskap, 21 (1 & 2)p.27-75. 1985. 1985	Die vorming en ontwikkeling van die kognitiewe vermoëns en vaardighede van die student. Didaktikom, 6(1), April. 1985. 1985. 1984	Die pluralisme van wêreldbeskouinge, teoretiese paradigmas en teorieë. Koers, 49(1).1984. 1984	Metaphorical focus and perspective in scientific theories. Suid-Afrikaanse Tydskrif vir Wysbegeerte. 3(2). 1984. 1984	A philosopher comments on "The relationship between the philosophy and methodology of the Human Sciences" (by Johann Mouton). South African Journal of Philosophy, 3(3). 1984	My Christelike lewensbeskouing en my wetenskap. Roeping en Riglyne. 1984. 1983	White and Black civil religion as ideology. Koers, 48(4). 1983. 1982	Science: Servant or master? Koers, 47:1, p.1-12. 1982. 1980	Islamitiese wetenskapsbeoefening? Koers, 45:4, 280-285.1980. 2003. Rethinking root metaphors: Re-enchanting a disenchanted world. Philosophy and Cultures. Proceedings of the XXIst World Congress of Philosophy, Istanbul, Turkey. Edited by professor Venant Cauchy. 1988 Breë paradigmatiese lyne in wetenskap en kultuur. In: Coetzee, I., Van der Waal, Gerhard-Mark. Afrikaanse Konferensie vir Kultuurbewaring, Kaapstad. 1988. "Broad paradigmatic contours of science and culture"
meeting of the Philosophy of Science Association, vol.1, East Lansing, Mich: PSA. 1986. 1980 School and society. Justice and the International Economic order. Proceedings of the second International Conference of Reformed Institutions for Christian Higher Education, Grand Rapids, Michigan, 1978. Published in 1980. 2007. Why metaphor matters in education. Third International Congress on Metaphor, Language and Thought, Fortaleza, Brazil, 21 -24 October, 2007. 2006 IAPCHE's Congreso Internacional 2006 (CI06): Christian Higher Education in Global Context: Implications for Curriculum, Pedagogy, and Administration. Justice and Reconciliation in South Africa An Interdisciplinary course and Metaphor and its Moorings (book) in the Research Expo . 2006 Metaphor, domains and embodiment. Second Biennial Conference on Cognitive Science, St Petersburgh, Russia 9 - 13 June 2006. 2003 Embodied metaphor and analogy: hermeneutical keys to the role of fiduciary beliefs in science? Cognitive Linguistics Conference, La Rioja, Spain, July 2003. 2002 No metaphor without ideological (and ontological) freight. Mind, metaphor and language , Euresco Conference, Kerkrade, Netherlands, April 2002. 2001 Clusters, Roots and Hierarchies of (Religious) Metaphors in the Disciplines. Calvin College Conference on: Christian Scholarship for what? Grand Rapids, Michigan., Fall, 2001. 2000 Metaphor and Religious Language. Open Book and Scholarship Conference, 16 - 19 August 2000, Redeemer University College, Ancaster. Ont. Canada. 1999 Scholarship for reconciliation? A comparison of two models of Christian scholarship: The Free University of Amsterdam and Potchefstroom University for Christian Higher Education, University of the Western Cape, Belville, South Africa, January 1999. 1999 Common roots- different fruits? Paper read at The With Heart and Mind Conference, Trinity Western University, Langley, BC. Canada. May 1999. 1999 Metaphor: The key to Hermeneutics. Hermeneutics Conference held at Redeemer University College, Ancaster, Ont. July, 1999. 1998 Prospects for a Christian Social Philosophy. Paper read at Kuyper Centenary, Princeton, January 1998. 1992 Reading the two books of God literally: Michael Faraday and the religious and scientific metaphors of power and force. Pascal Centre Conference on Science and belief, Redeemer University College, Ancaster, Ont. Canada, August 1992. 1992 The mediating role of metaphor and analogy in the relationship between science and religion. Pascal Centre Conference on Science and belief, Redeemer University College, Ancaster, Ont. Canada, August 1992. 1988 Metaphorical hermeneutics: A "logic of discovery for the social sciences?". 18th World Congress for Philosophy, Brighton. England, 1988. 1988 Cultural universals and Christianity. Participant in a Round Table discussion, 18th World Congress for Philosophy, Brighton. England, 1988. 1986 Metaphorical models and scientific realism. Tenth biennial meeting of the Philosophy of Science Association, Pittsburgh, Pennsylvania, USA, 1986. 1983 "White and Black civil religion as ideology". 17th World Congress for Philosophy, Montreal, Canada, 1983. 1978 "School and society". Second International Conference of Educational Institutions for Christian Higher Education. Calvin College. Grand Rapids, Mich. USA, 1978. 1978 "Objectivity under attack". Institute for Christian Studies, Toronto, Ont. Canada. Social Sciences Seminar. Co-coordinator of conference, with Dr Bernie Zylstra, 1978.